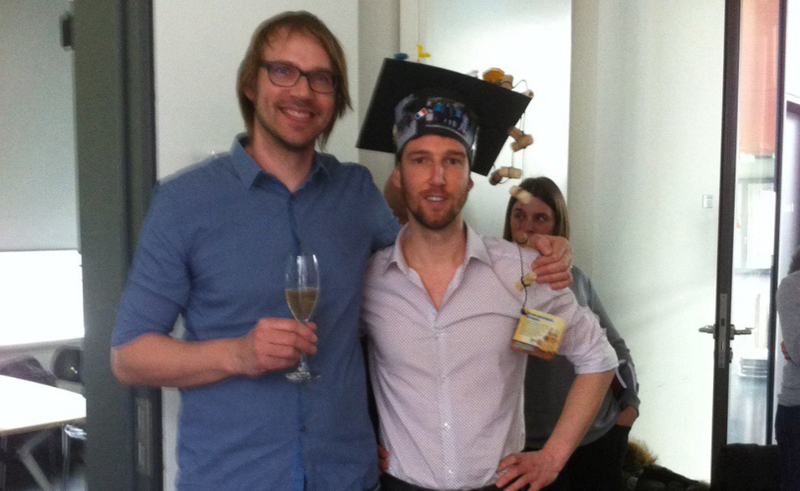 After a smooth and entertaining defense, Francois finally got his PhD hat! For the celebration François’ parents spared no effort to bring their own cider from Bretagne. Too bad that I could not get him into Äppler. We wish him all the best for his postdoc!